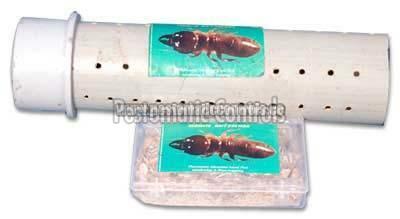 Seeking a trusted Termite Repellent supplier? Our organization is the best one and able to fulfill wholesale orders. We own a well-constructed storage space that helps in keeping the batch under secured conditions and away from various spoiling factors such as sunlight, water, moisture, dust, rain and others. Safety Features - Safe to you & your environment with out any toxic residue, Safe for handling in kitchen, Attracted pest eat bait to die, No need to search pest it calls the pest, Dead bodies of ants/cockroaches/termites are also eaten by others called cannibolism effect.